Saluting one of the greatest artists in Batman history. 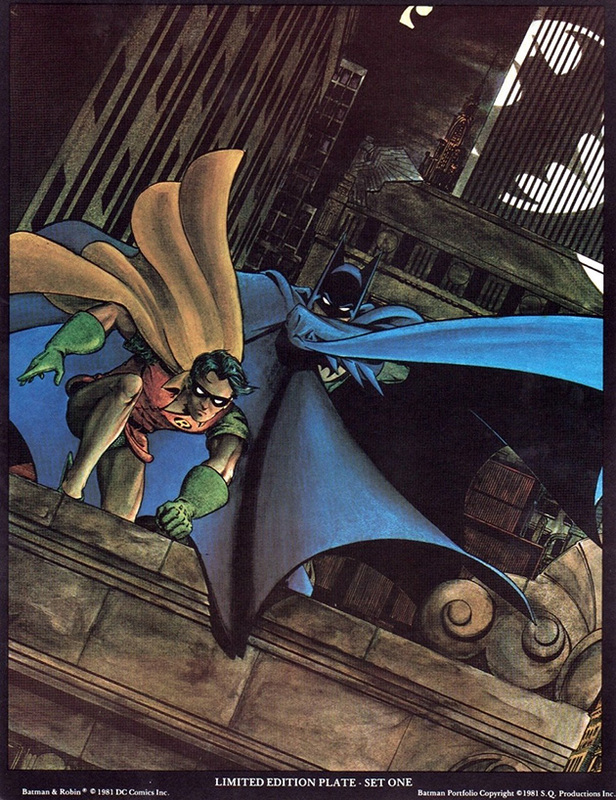 Marshall Rogers is on my personal Mount Rushmore of Batman artists and he’s in all likelihood on yours, too. So feel free to click the links below. I promise you’ll like what you find. — Remembering Marshall Rogers, by STEVE ENGLEHART. Click here. — 13 COVERS: A Marshall Rogers Birthday Salute. Click here. — The KELLEY JONES Interviews: How Marshall Rogers Lit the Fire. Click here. — The Exact Moment Marshall Rogers Passed the Torch to Kelley Jones. Click here. — The CHIP KIDD Interviews: The Brilliance of Marshall Rogers. Click here. — BATMAN ’77: The Best Netflix Series You’ll Never See. Click here. — Marshall Rogers’ BATMAN Newspaper Strips Need to Be Reprinted. Click here. Rogers, Adams, Infantino and Sprang– you’re talking people who had IMPACT and defined the character. THOSE are the guys you put on the mountain. I’d probably even drop Adams and go with Aparo– Aparo worked on the character for THIRTY years– and his early stuff has more mood and style than Adams ever could. But Capullo?? I’d put him behind (WAYY behind) Frank Robbins, Kelley Jones, Bernie Wrightson, Bob Brown, Irv Novick, Shelly Moldoff, Jerry Robinson, Michael Golden and even a John Calnan oe Norm Breyfogle. I’m not inclined to knock any one artist’s work, Andy. But you’re entitled to your opinion, of course. That said: To readers of a certain age, Capullo will be thought of 30 years from now like we think of Marshall Rogers today. He’s enormously popular — and with good reason. There are thousands of readers who I’m sure see his work as having an impact and he’s helped define Batman in the 21st century. For my part, I find his work to be striking and in the tradition of the greats. Andy beat me to it: Aparo is easily in my Top Three — well ahead of Mazzuchelli who’s excellent, but didn’t do enough to be indelibly linked to Batman (I mean, he’s as connected to Daredevil as much as Bats). Aparo was THE Brave & the Bold artist for two decades, with several Detective Comics/Batman issues thrown in for good measure and launched Batman & The Outsiders for good measure. And, yeah, Andy may have a point: Aparo arguably could be placed ahead of Adams. My Top 10: Adams, Aparo, Rogers, Novick, Robinson, Sprang, Golden, Capullo, Don Newton, Tim Sale. Funny thing about Aparo for me: He was great, to be sure. But growing up, I always thought of him as the “other” Batman artist because he was so identified with The Brave and the Bold, which I considered the “other” Batman book after Batman and Detective. So in my eyes, he never rose to the level of the others. I know that may seem strange, but it’s always been contextual for me where he’s concerned. But that says more about my perception than anything. He’s definitely one of the greats and I’m not knocking him at all. I just don’t respond as viscerally to his work as other people do. He’s my 1B with Adams being 1A. Or maybe it’s reversed. Too close for me. When I see Rogers’ work, I think “that’s Batman!” I loved his older version of Robin also. Adams, Rogers, Aparo, & Breyfogle. Novick is close. I’m glad Robert mentioned Don Newton. He’d be high on my list. Both he and Gene Colan had nice runs in the 1980’s. Not sure, I don’t agree with Infantino – maybe on the Flash, but not Batman. Adams, Rogers, Lee & Capullo. Agreed. Both were very entertaining runs. But, I found Colan’s work for earlier Marvel is best work. That art plate is certainly ahead of its time for an ’80s product.